It is safe to assume that your teenager will experiment with alcohol. Sure, there is a small number who don’t, but around 72 percent of students have tried more than a few sips before graduating high school. Why Do Teenagers Abuse Alcohol? Experimenting and risk taking is programmed into us, it’s one of the reasons why our species has been so successful. Unfortunately when you combine physical and emotional underdevelopment with a lack of communication skills and rebellion, serious problems can occur. 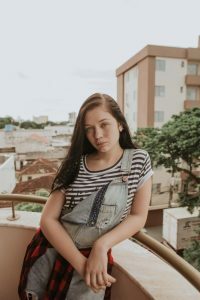 Teenagers drink for many of the same reasons adults do: they want to experiment, they want to have fun, and they want to hide from their emotions. The life of a teenager is hard, and an early addiction to alcohol can make it worse fast. Does the teen’s driving alter when they’re coming home after hanging out with friends? Has a normally open teen suddenly become very secretive? These signs don’t necessarily mean your teen is abusing alcohol or drugs, they may be a sign of a problem in this or another area. They could also just be part of the normal growing up process. Communicating with your teen is critical. This doesn’t mean talking at them, or telling them that their experiences aren’t that bad. It means listening and validating their truth. We don’t start learning about cars the first moment we sit behind a wheel, we start learning as a child. We see our parents driving, we see other drivers on the road all that time we’re learning, it’s what we’re programmed to do. Similarly, you teen has already learned about alcohol their entire lives from examples of their family, friends, television, and other members of the community. Don’t wait to have a conversation about alcohol with your teen because by then they may have already learned the wrong things. Demonstrate responsible coping skills from their infancy. Build a relationship where they feel safe to communicate with you. Create a network of responsible mentors who can look for the warning signs and can demonstrate healthy living and emotional maturity. Finally show them that your need is for them to have a healthy life and that if they come to you for help, you’ll priority will be helping rather than punishing. To find what options exist to help your teen, call us at 866-319-6126. PreviousPrevious post:List of Opioids with Addictive QualitiesNextNext post:Why Does Vicodin Lead to Heroin Addiction?